The New Year is the perfect time to make important changes to your business. If it’s been a while since you’ve updated your security measures, it might be time for a change. 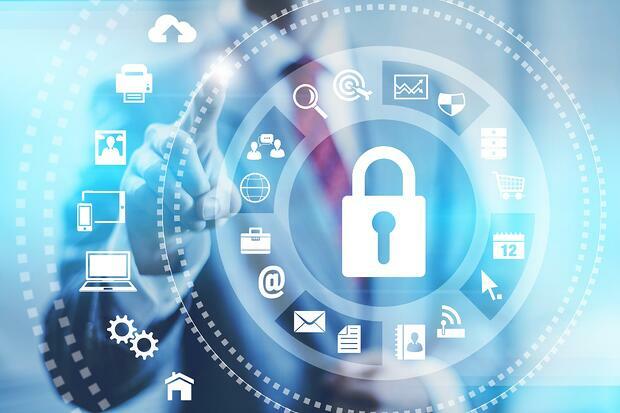 Because security technology is constantly improving, it’s important to stay on top of the latest trends to ensure that your business is properly protected from any security threats that might come up. If you’re considering improving your business’s security in the New Year, here are some of the physical security measures you’ll want to address. It’s important to take advantage of the latest technology to properly protect your property, and that means investing in smart technology. If you have different security systems such as surveillance, alarms, and access control, you can integrate these systems to operate smoothly in one system. If you have video surveillance on your property, smart technology allows for a live feed of security footage straight to your phone through an app. You can also receive instant updates from alarm systems to immediately learn about intrusions and other issues as soon as they happen. Access control is a very beneficial system both to track who’s coming in and out of your property and to control access. You can block off certain areas that are high security that you might not want every employee to have access to. For main points of entry, you can allow only employees to get inside. When employees have personalized keycards for the access control system, you can immediately turn off access if necessary and create specific allowances such as granting access to specific employees in certain time windows. Access control is a great way to monitor your property and ensure that only the people you want inside have access. Most businesses have surveillance cameras, but are your surveillance cameras up to date? For the best possible protection, you need the best quality cameras that can produce HD quality footage. In addition to high quality footage, it’s important to ensure the best possible placement for your cameras to ensure maximum coverage. With suggestions from a security company, you can make sure you have the best possible cameras in the best locations for maximum protection for your property. Alarm systems are an important part of security. You’ll need emergency alarm systems, such as fire alarms. You might also consider intrusion detection alarm systems, which will alert you and employees that your building ha an intruder. In addition to traditional alarms, you can also receive alerts when an alarm sounds. These alerts will ensure that you are immediately notified in the event of an emergency or other security problem to address the problem right away. If you don’t already have security officers, adding private security officers to your property is a great way to add an additional layer of security to your property. Your security officers will get to know the people in your building, meaning they will be able to quickly identify anyone who is out of place and shouldn’t be there. They can patrol the property looking for suspicious activity, stopping any intrusions or other issues before they happen. Additionally, the presence of uniformed security officers is likely to deter anyone who might be considering committing an offense. Security officers are also very useful in an emergency situation, as they are highly trained to keep calm under stressful situations, react appropriately, and provide those around them with clear instructions. Think your building has some outdated security technology? Click the link below to schedule a no-cost property evaluation.